For others, however, the build up to Christmas is a time of planning and scheming about how to make this holiday even more unforgettable than… Well, whatever happened last year. The point is, for these individuals, a lot of meticulous detail goes into creating the ultimate holiday experience for them and their loved ones. At Vector & Raster, we definitely fall into the latter group, especially when it comes to laser cut invitations. The build up to Christmas means providing more and more customers with intricately-designed, clean laser cut invitations that are sure to leave a lasting impression on anyone who receives them. With that in mind, let’s take a look at why laser cut invitations have become so popular! What Goes Into Creating Our Laser Cut Invitations? As with any laser cutting project, laser cut invitations need to be pristine, back to front. Just take the piece below, which was designed and cut for a corporate event. State-of-the-art laser cutting hardware allowing us the highest level of control when it comes to creating stunningly detailed, clean invitations. A team of highly-experienced staff that have spent years working with a variety of materials and laser cutting methods. Our team regularly cut cardstock for invitations such as corporate events, weddings, christenings, birthdays, special events and much more. Our laser cutting services are also widely used for shop fit-outs and displays, book covers, greeting cards, and a host of other marketing material. We are able to accommodate paper/card up to approximately A0 size, meaning that we’re equipped to handle designs in a wide variety of shapes and sizes. As we’ve discussed earlier in the piece (and not to mention the dozens of other articles we have gushing about laser cutting), laser cutting offers a significantly higher level of detail and cleaner lines than other cutting methods. 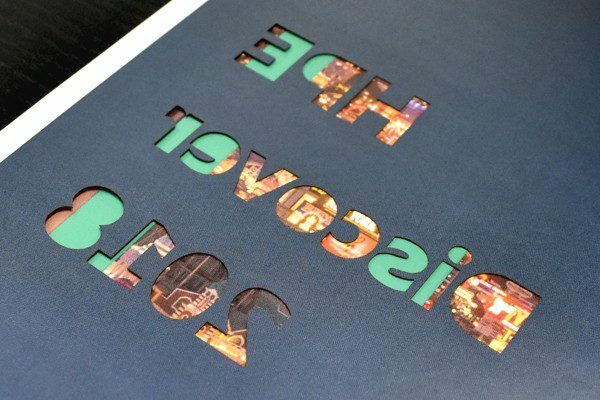 Plus, due to the speed in which Vector & Raster can produce impeccable laser cut invitations, it is a highly-practical, efficient method for bulk orders. In other words, if you’re looking to produce a bulk order of highly-detailed invitations under a strict deadline, laser cutting truly is a cut above. So, to ensure that you have your laser cut invitations as soon as possible, contact Vector & Raster today to discuss your order. Happy Holidays!